Dr. Sarno and scoliosis are topics of major interest to people who suffer from back pain that might have been mistakenly linked to coincidental spinal curvature. Dr. John E. Sarno is renowned for his work with the diagnosis of tension myositis syndrome and his theories regarding the virtually universal cause of non-structurally-motivated back and neck pain. John E. Sarno, MD, was a renegade physician who broke the mold of traditional medical practice. 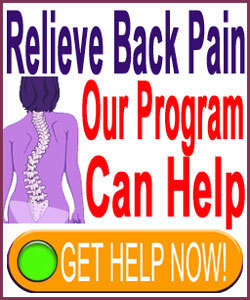 He literally changed everything that was thought to be true about back pain and his ideas have since grown far beyond the man himself and taken on lives of their own. Although Dr. Sarno is now deceased, his teachings continue to be a guiding light in an often dark and unenlightened treatment sector that seems obsessed with antiquated and unproven theories regarding the causation of chronic pain. This editorial profiles Dr. John Sarno and examines the relevance of his work in regards to scoliosis and the symptoms it might produce. Dr. John Sarno clearly identified perceived scoliosis-related pain as a typical manifestation of tension myoneural syndrome. He stated that scoliosis is almost universally innocent of creating pain, but is commonly blamed for symptoms by mistaken care providers. Sarno has commented that scoliosis can create a particularly successful form of TMS pain, since it involves such an obvious change in structure that looks unusual, even though it is not likely to be pathological. When I consulted Dr. Sarno and mentioned to him that I was diagnosed with scoliosis, he dismissed the information immediately and did not pay much more attention to my mention of diagnosis of degenerative disc disease or herniated discs earlier in life. In fact, he was really quite disinterested in any structural diagnoses that I had received about any painful problems and focused more on his specialty: the construction and attributes of the personality in relation to life stresses. Sarno speculates that in most cases of scoliosis, the pain is a direct result of the nocebo effect inciting the mindbody process and not some spinal pathology, soft tissue problem or any form of anatomical dysfunction. Instead, he states that the pain created by the TMS condition is merely a defense mechanism that is designed to protect the individual against repressed and suppressed emotional issues. Sarno provided a thorough explanation of his psychological model for pain in his literature, so we will not cover that aspect of his work in this essay. After all, he already presented his theories so well that it is really quite difficult to explain them any better than he has… However, we will mention that pain will definitely enjoy anatomical credibility in scoliosis patients, since their anatomy is “different” and they have probably come across a doctor at some point who has contributed to the fear of future problems associated with their curvature or directly engaged the nocebo effect within them. Dr. Sarno was very reassuring in his demeanor and could teach scoliosis patients the truth of their condition using scientific research and insights into their personality that he gathered during a detailed interview process. Sarno had been effective in his work because he allowed patients to learn everything about the factual reasons why they have pain instead of providing them with a simplified and incorrect Cartesian model, like most other physicians. Dr. John Sarno stopped using physical therapy for TMS a long time ago and decided on a purely knowledge-based therapy method. He had been very successful with this care regimen, claiming a very impressive cure rate that accounts for about 97% of his patients. Sarno was cautious about which patients he accepts however, since his therapeutic method requires an acceptance of nonstructural causation, as well as significant and ongoing active participation of the patient in their own cure. Some people would rather take a pill or go under the knife than do any real work, even on their own behalf. Dr. Sarno’s program was softly defined, with a variety of tools and practices that all lead to understanding of the inner self (the subconscious or unconscious) being responsible for the pain and not the scoliosis. Sarno has received lots of criticism from outside sources due to his over-generalization of all chronic pain conditions being TMS-enacted. Ironically, this same criticism is rarely mentioned about the traditional medical establishment, even though they speculate that 100% of pain is enacted by injury or degeneration and that the mind is not the source, ever. We take a middle ground, recognizing the possibility for both scenarios to occur, especially when it comes to scoliosis. We concede that a large percentage of symptomatic patients with mild to moderate forms of idiopathic structural scoliosis are experiencing pain from a different source than their curvature. Some of these patients have other structural issues creating the pain, while many fall into Sarno’s TMS category of mindbody causation. However, we also know for a fact that many cases of severe scoliosis can be pathological, even though virtually none are inherently symptomatic. 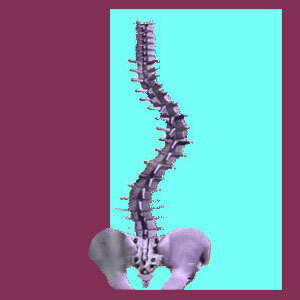 We have seen terrible disability and even death come about from the worst cases of atypical spinal curvature and Dr. Sarno unfortunately does not make provision for these examples, which is at the heart of most critics’ view of his work. Although his theories are not flawless, we tend to side with Sarno on most major points and will certainly argue his genius with any critic of the man himself. He has elevated medical science through his lifelong study of pain and has provided the tools that the next generation of doctors requires to take his lessons to completely new levels of relevance and effectiveness in treating chronic pain. We have already rising to the occasion by integrating some of the best aspects of accepted multi-disciplinary TMS care into our own proprietary pain relief program.